Strategies must address the needs of new customers and the challenges of building a sustainable supply chain. Fifteen years ago, six companies formed the industrial biotechnology section of the Biotechnology Industry Organization (BIO). In the days before RFS1 and RFS2, the goal was simple: create a vision and advocate for the biobased economy. The challenges now facing the industry require a rededication to the original vision and new initiatives to defend and expand it. It was February 18, 1998. The Dow Jones Industrial Average of the New York Stock Exchange closed that day at 8,451. Oil was trading at about $25 per barrel; corn for around $2.50 per bushel. Annual ethanol production capacity was 1.4 billion gallons. Not a single industrial biotech company was publicly traded. Novozymes was still to be spun out of Novo Nordisk. Dow Chemical was the most heavily and widely invested strategic player in the space. DuPont and Genencor were developing biobased 1,3-propanediol. Cargill-Dow was in the final stages of piloting its polylactide technology. And BIO had about 15 staff members. For the six companies around the table on February 18th, the first priority was to establish some brand equity for the industrial application of biotechnology. At the time, only two biotechnology applications—human pharmaceuticals and agriculture—were recognized. That was step one in attaining the other critical objectives: policy incentives, pre-commercial federal Research Development & Demonstration (RD&D) money, and investor interest. As BIO’s World Congress of Industrial Biotechnology convenes for its 10th anniversary meeting in June there is a lot to be proud of, but still a long way to go in achieving the original vision of a biobased economy and assuring the industry’s sustainable advantage. If you look back, two seminal publications helped the embryonic industrial biotech sector get off the ground. In 1998, the Organization of Economic Co-operation and Development (OECD) published Towards Industrial Sustainability: Biotechnology for Clean Industrial Products and Processes; and in 1999, Senator Richard Lugar and former CIA Director Jim Woolsey published “The New Petroleum” in the journal Foreign Affairs.1,2 In combination, these publications made a clear and convincing case for the environmental and energy security benefits of industrial biotechnology. These were two great calling cards, and the industry benefited from tremendous good will among policy makers and environmentalists. One of the first policy victories was Executive Order 13134, issued by President Clinton to accelerate the biobased economy, followed shortly by Senator Lugar’s Sustainable Chemicals and Fuels Act.3 Thus began a parade of policy actions meant to stimulate technology development to replace fossil fuels with renewable carbon from plants. Loose alliances and mutual interests among technology companies and farm and environmental organizations made one significant bill after another possible, culminating in the Energy Title of the 2007 Farm Bill and the Energy Independence & Security Act (EISA) of 2007, which established the RFS2.4,5 Along the way, Congress also put provisions in place providing tax incentives, accelerated depreciation, production credits, and reverse auctions. Perhaps of even greater consequence, the US Department of Agriculture and US Department of Energy were spending a total of more than $300 million per year on RD&D. All biofuels policy progress was based on three pillars: rural economic development, greenhouse gas reduction, and energy independence. Political success was built on farm belt legislators in an uneasy alliance with environmentalists. Low grain prices created a strong base of votes in Congress. In the RFS2, environmental concerns about corn and land use change considerations were managed by capping starch ethanol at 15 billion gallons per year (BGPY) and setting aggressive volume targets for cellulosic fuels. Big oil acquiesced based on the calculus that gasoline demand would grow to at least 150 BGPY. They would take up the corn ethanol volumes easily at 10% blend rates and get their high octane oxygenate at economical prices (methy tert-butyl ether had been banned in 2006). Perhaps cynically, they bet that cellulosic ethanol was going to flop economically or cannibalize corn ethanol. With the aid of hindsight, it might have been better for cellulosic biorefineries if the whole policy apparatus had been pushed forward 5 years, cresting in 2012 instead of 2007. Of course, in politics, you rarely control the timing. You take what you can and deal. The political picture now is complicated by changes in the underlying political dynamics. Each of the three pillars is at best shaking, if not already collapsed. The price of corn and farmland, drought notwithstanding, has never been stronger, and rural wealth is at an all-time high. New analysis and perspectives on land use change and biogenic carbon accounting have neutralized the perception of environmental gain from biofuels. Domestic energy production has surged, prompting Jack Gerard, CEO of the American Petroleum Institute (API), to forecast that the US could become “self-sufficient in liquid fuels within 12 years.” Lagging cellulosic production volume, falling further and further behind RFS2 scheduled targets, has finally pushed the API from biofuel skeptic to outright opponent. Following his “State of Energy” address on January 8th, Gerard reiterated his recent call for the outright repeal of the RFS. On the plus side, the escalating and increasingly serious attacks on the RFS2 have finally shaken the biofuel industry into an uneasy alliance. The unprecedented investment by a unified biofuel sector in Fuels America—a coalition of organizations committed to protecting RFS and promoting the benefits of all types of renewable fuel already growing in America—is a great development. But, it is purely defensive and meant to hold at least 40 votes for the status quo, a far cry from the industry’s heydays. Hopefully, Fuels America will succeed in its defense of the RFS. Weak as it is, it is the only real policy lever supporting cellulosic biorefinery development. We need the first billion gallons of cellulosic biofuels to dispel any doubt about the technology’s viability. Of course, there are alternatives to the RFS that might provide a basis for policy progress by reshuffling stakeholder interests. But congressional gridlock makes it unlikely any action would be taken on the two most likely alternatives: a national low carbon fuel standard or a technology-neutral approach rewarding all fuels on a sliding scale based on carbon intensity, energy content, ecosystem services, compatibility with existing infrastructure, etc. Whatever policy outcome results from RFS “reform” in this or the next Congress, one thing is clear: the future of the biobased economy depends on the continued availability of first-generation feedstocks as a parallel and transitional source of renewable carbon as progress continues in incremental growth from cellulosic sources. Drafting a policy framework for the biobased economy in the midst of the biofuel policy debate may be a fool’s errand. Luckily, outside the policy arena, there are some very favorable trends coalescing to pull the industry forward. Developers of biochemicals, biomaterials, bioactive ingredients, and processing aids have a bright future. While these opportunities are orders of magnitude smaller than fuels, they offer producers good margins and pricing power. Moreover, they have the additional benefit of not relying on policy incentives to create demand. These are exciting new markets. Driven perhaps by climate change, trends in consumer preferences, or simple generational change, consumer-facing companies are getting serious about reducing their carbon intensity and life cycle footprint. This interest is new; delivering environmental performance through biotechnology is not. Our industry, working in alliance with consumer companies, has been doing this since the early 1990s, when detergent enzymes from Novozymes made it possible for Procter & Gamble (P&G) to reduce wash powder package size substantially, and Genencor worked with Levi Strauss & Co. on bio-indigo jeans. Recently, The Coca-Cola Company announced joint development agreements with Gevo, Virent, and Avantium to develop renewable, recyclable polyethylene terephthalate (PET) for its PlantBottle. Following on the heels of that announcement, Coca-Cola, Ford, Heinz, Nike, and P&G announced a strategic working group focused on accelerating the development and use of plant-derived PET for packaging, apparel, footwear, automotive fabric, and carpeting. Global consumer goods companies and retailers have tremendous brand value to protect. Over the last decade, successful companies have shifted the management of reputation risk from a reactive to proactive practice. Over the last few years, these same companies have significantly increased efforts to make their products and supply chains more sustainable. There are numerous initiatives bringing stakeholders together to agree to key performance indicators (KPIs), measurement tools, and certification schemes to assure the sustainability of various products. The Sustainability Consortium, for example, involves a collaboration of the world’s leading consumer goods companies and their suppliers and environmental experts to develop sector-by-sector reporting schemes. 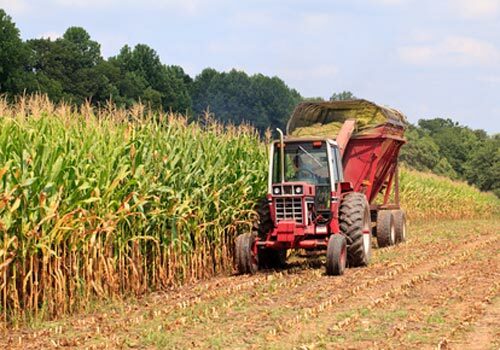 In agriculture, the Keystone Alliance for Sustainable Agriculture’s Field to Market initiative has been working for more than 6 years to address these issues for six commodity crops, including corn and soy. Beginning in 2006, the non-profit Field to Market alliance engaged the entire supply chain alongside nongovernmental organizations (NGOs), academics, and government officials to develop an approach to sustainable production in agriculture that met everyone’s needs. In July 2012, Field to Market published Environmental and Socioeconomic Indicators for Measuring Outcomes of On-Farm Agricultural Production in the United States.6 The Field to Market initiative also created a sophisticated online tool, the Fieldprint Calculator, to help growers identify the environmental impact of management decisions made on the farm. Geospatially precise, this tool allows an individual grower, or groups of growers, to enter input/output data on a field-by-field basis. Performance is plotted in various ways to enable visualization of the field’s specific footprint. Different management practices, like conservation tillage and nutrient management, can be modeled to test scenarios. The rigor and quality of the tool, developed by experts and subjected to peer review and field-testing, provide the basis for transparency around agricultural performance. While still in the early stages of adoption, this tool has demonstrated huge potential for the future of the biobased economy. Over the last decade, sustainability standards related to environmental integrity, worker safety and health, waste stream management, child labor practices, and product stewardship have become axiomatic. Leading companies expect their suppliers to meet these standards in the processing of food, manufacturing of chemicals, and assembly of clothing and consumer electronics. The industrial biotechnology industry needs to join with its downstream customers in the effort to bring the same level of transparency to its supply chain. The challenge presented by food security, land use change, carbon accounting, and climate change requires a sustained and intensive effort, especially in the face of declining support for biofuels among policy makers, heretofore the industry’s most solid foundational support. If the biobased economy is to reach its potential, companies will need to commit to being actively engaged and helping to lead the way to more sustainable agriculture. The industry needs to help the public see agriculture as a system that can be optimized for everyone’s benefit, and at the same time help suppliers understand their new responsibilities for transparency and continuous improvement. At the micro scale, Field to Market’s Fieldprint Calculator will enable real-world system optimization. Self-selected groups of producers or industry-sponsored groups can aggregate their results, test practices on different plots, and become a learning collective in pursuit of better performance and profitability. Grower groups could also experiment with new cropping systems and rapidly test new practices. For example, recent studies have shown significant agroecosystem improvements through extended cropping system diversification.12 Initiatives such as this provide excellent information to stimulate active dialogue among critical environmental stakeholders. Environmental advocates would respond extremely well to industry-led initiatives to improve performance—to make things better. With the Fieldprint Calculator, producers can integrate continuous improvement into their management practices. This could have a major positive impact on the industry’s image and go a long way to neutralizing some unfounded criticism. Whether looking at the problem from a macro- or micro-scale perspective, there is no doubt that the industry’s future prosperity depends on full engagement in the important work of sorting out the choices faced by society. Over the coming decades, everyone on the planet will be dealing with constraints, with boundaries, and with challenges for system optimization. The industrial biotechnology sector will have to deal with transparent sustainability obligations, just as every other industry does. For the first 15 years of its existence, the industry progressed along the typical life cycle for emerging technologies and will now face the challenges of more mature industries. Leading companies like DuPont, DSM, Novozymes, and BASF have been plowing these fields for a long time. Among new entrants, NatureWorks has done an excellent job. Now the time has come for a more strategic, robust, and collective engagement. At the moment, because the supply chain for the biobased economy is still in formation, we lack a muscular voice to drive a coherent narrative that rises above the biofuels fracas. The sector is in need of an effective advocate to bring forward information and address the bigger picture. So, as BIO celebrates its 10th anniversary World Congress of Industrial Biotechnology, it should rally in defense of the RFS. But it should also spur its members to engage the challenges of building a sustainable feedstock supply chain. Jack Huttner (jhuttner@huttnerstrategies.com) is president and CEO of Huttner Strategies. 1 OECD. Biotechnology for Clean Industrial Products and Processes: Toward Industrial Sustainability. (1998) Available at: www.bio-economy.net/reports/files/oecd_biotech_for_clean_industrial_products.pdf (Last accessed January 2013). 2 Lugar RG, Woolsey RJ. The new petroleum. Foreign Affairs. (1999) Available at: www.foreignaffairs.com/articles/54624/richard-g-lugar-and-r-james-woolsey/the-new-petroleum (Last accessed January 2013). 3 The White House. White House Initiative on Global Climate Change: The President’s New Executive Order on Bio-Based Products and Bioenergy. (1999) Available at: http://clinton5.nara.gov/Initiatives/Climate/biobased.html (Last accessed January 2013). 4 US 110th Congress, 2nd Session, H.R. 6124. (2008) Available at: www.usda.gov/documents/Bill_6124.pdf (Last accessed January 2013). 5 US 100th Congress, 1st Session, H.R. 6. (1987) Available at: www.gpo.gov/fdsys/pkg/BILLS-110hr6enr/pdf/BILLS-110hr6enr.pdf (Last accessed January 2013). 6 Field to Market. Environmental and Socioeconomic Indicators for Measuring Outcomes of On-Farm Agricultural Production in the United States. (2012) Available at: www.fieldtomarket.org/report/ (Last accessed January 2013). 7 Ted Talks. Jonathan Foley: The Other Inconvenient Truth. (2012) Available at: www.ted.com/talks/jonathan_foley_the_other_inconvenient_truth.html (Last accessed January 2013). 8 Foley JA. Can we feed the world & save the planet? Sci Am 2011;305(5):60–65. 9 Foley JA, Ramankutty N, Brauman KA, et al. Solutions for a cultivated planet. Nature 2011;478(7369):337–342. 10 Kim S, Dale B, Ong R. An alternative approach to indirect land use change: Allocating greenhouse gas effects among different uses of land. Biomass Bioenerg 2012;46:447–452. 11 Wallington TJ, Anderson JE, Mueller SA, et al. Corn ethanol production, food exports and indirect land use change. Environ Sci Technol 2012;46(11):6379–6384. 13 Ausubel J, Wernick IK, Waggoner PE. Peak farmland and the prospect for land sparing. (2012) Available at: http://phe.rockefeller.edu/docs/PDR.SUPP%20Final%20Paper.pdf (Last accessed January 2013). Industrial Biotechnology, published by Mary Ann Liebert, Inc., is a peer-reviewed bimonthly research journal focused on biobased industrial and environmental products and processes. The above article was first published in the February 2013 issue of Industrial Biotechnology with the title “Strategies for Growing the Biobased Economy Must Address Needs of New Customers and Challenges of Building a Sustainable Supply Chain”. The views expressed here are those of the authors and are not necessarily those of Industrial Biotechnology journal, Mary Ann Liebert, Inc., publishers, or their affiliates. No endorsement of any entity or technology is implied. Race-based Medicine: Reality or an Illusion?